In 2015, it was announced that Jochy Blanco, owner of Tabacalera Palma, acquired IndianHead Cigars along with its many valued priced brands. 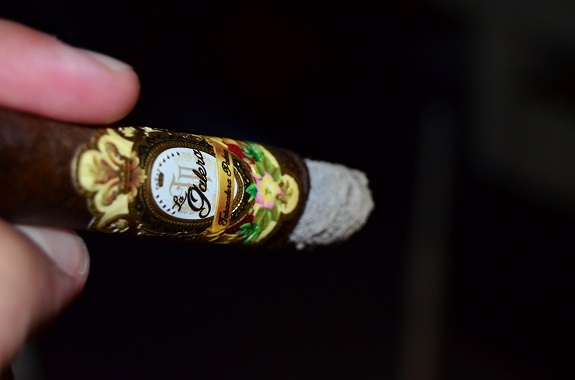 Paired alongside the news of the acquisition was the launch of the La Galera brand by IndianHead Cigars. The original launch consisted of the La Galera Habano and Connecticut. Three additional lines were added to the La Galera brand in 2016 including La Galera 80th Anniversary, La Galera 1936, and La Galera Maduro. 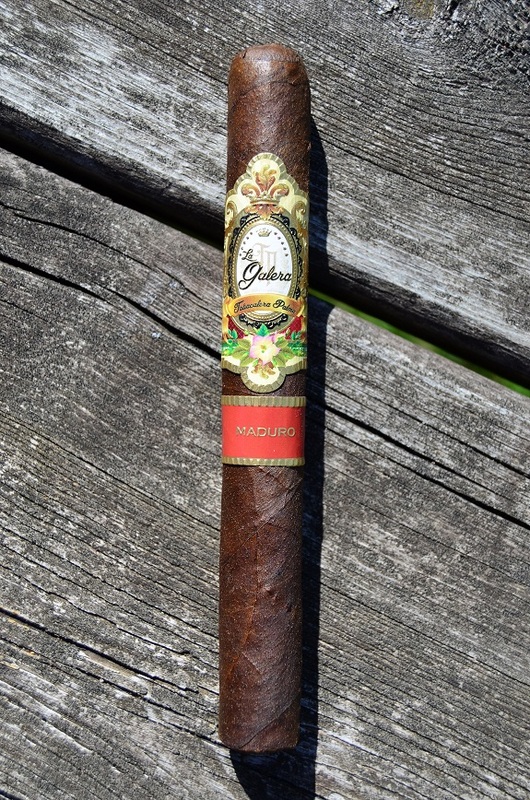 As noted on the band, the La Galera Maduro is manufactured at Tabacalera Palma in the Dominican Republic. 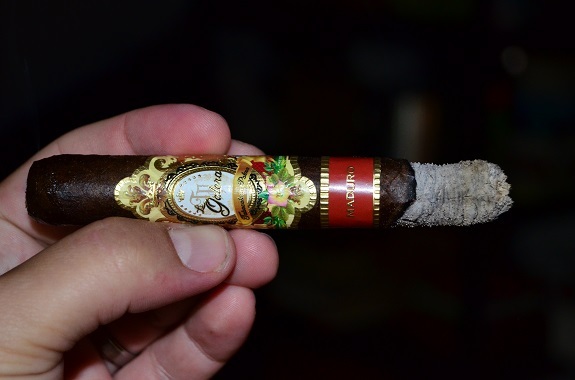 The cigar features a Mexican San Andres Maduro wrapper over Dominican internals. Available vitolas include: No. 1 (3 ½ by 50), Pegador (6 by 46), Chaveta (5 by 50), Cortador (6 ¼ by 52), El Lector (6 by 54), and Cabeza Caracol (7 ¼ by 50). And with prices ranging between $4 and $6.75, this cigar will be easy on your wallet. You can purchase the La Galera Maduro from our good friends at Fox Cigar. It doesn’t look like they are listed on their online store yet, but you can give them a ring at (800) 730-2087. 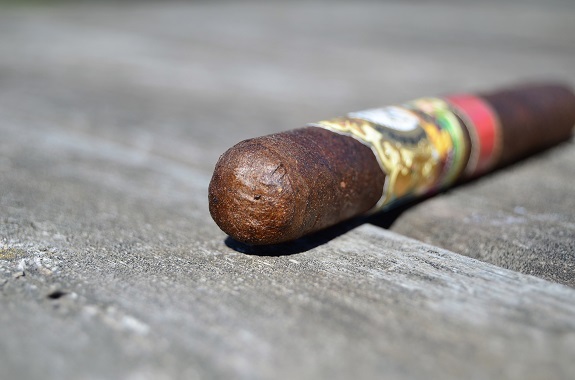 La Galera Maduro wears a milk chocolate wrapper that has a couple stitch like veins running the length of the cigar and a crazy amount of fine tooth. It is as if I am running my fingers across a fine grain sandpaper. 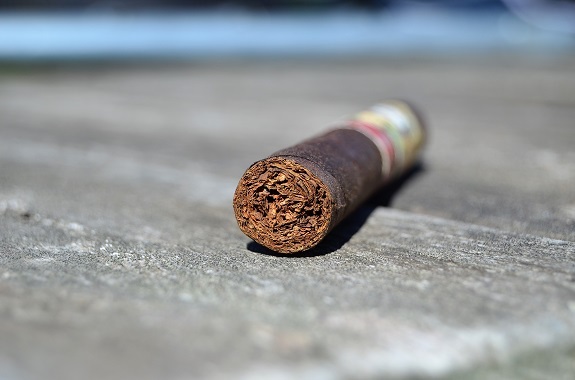 The aroma on the wrapper is of nutmeg and meat seasonings, while rich cedar, pepper, and brandy are found on the foot of the cigar. The double cap gets the job done and gives way to a perfect draw once cut. Flavors of cedar, baking spices, and brandy freely move across my palate on the dry draw. With the La Galera Maduro underway, cocoa, pencil shavings, and earth kick off the journey. A sweetness is tied to the cocoa that is rounding out the flavors as rich and creamy smoke coats all areas of my mouth. The pepper spice is medium and really stands out on the retrohale. There is a yeasty, bread-like flavor on the finish of the smoke. 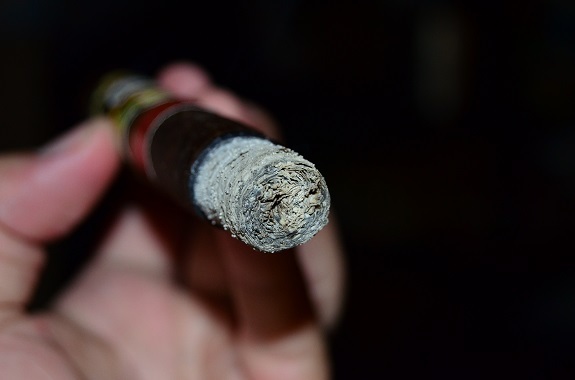 The cigar is burning even as a good looking white ash forms. You can easily see the tooth from the wrapper in the ash. The yeast has taken center stage with the cocoa sweetness and pencil shavings trailing close behind. The flavors are medium to full and a dark fruit flavor has joined in, but its appearance was brief. As the cigar progresses, the sweetness continues to gain ground and is hitting the tip of my tongue with each puff. I am sad that I am already in the last third of the La Galera Maduro. The cocoa note is impressive and continues to build as the cigar takes on a more earthy and gritty quality, which I am absolutely loving. And the sweetness is carrying along without interruption as the yeast from the second third has moved to the background and is appearing only every few puffs. Tony originally had this cigar on his review list and I am sure glad that he passed this one off to me to take a stab at it. 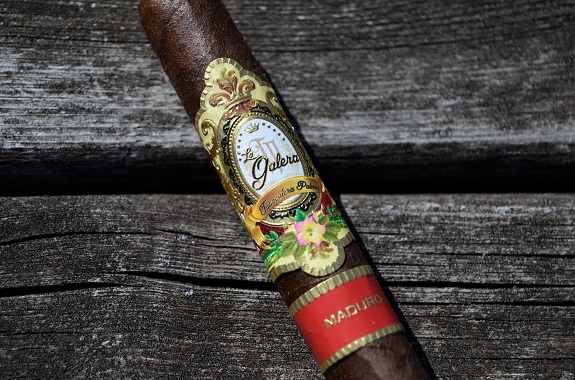 The La Galera Maduro is an absolute treat for under $6. It burned along with no hiccups and offered up some medium/full flavors that evolved through the smoke. I am a sucker for dark and rich flavors that are rounded out by some sweetness and that is exactly what this cigar delivered. This cigar is right up there with the best of them and you won’t break budget smoking these. Go for a box purchase. You won’t regret it! Thanks to our good friends at Fox Cigar Bar, we have had 2 awesome giveaways in the last couple of week. Make sure to show some love to Fox Cigar by visiting their online store HERE. And the moment you have been waiting for, the winner of the 2 LFD Andalusian Bulls, Drew Estate Ashtray, Liga Privada Hat and Cutter is……. Congrats! Please send your address to [email protected] And those of you who didn’t win, stayed tuned. We already have planned many more giveaways with Fox Cigar Bar. Also, keep up with our reviews here as we will be partnered up with them to give you guys straight access on how to get many of these newer/rarer cigars directly from them. Sounds like a winner. Congrats to Texican8 – nice haul!